Infiniti have made a welcome return to the expansive Australian car market with a line-up of models that ensures they will be here for the long term this time. The luxury brand of Japan's Nissan Motor Company is competing with all-comers in the premium car class. The three existing model lines will be boosted by more products as time goes by, thus justifying their desire for an increased share of the global premium car market. 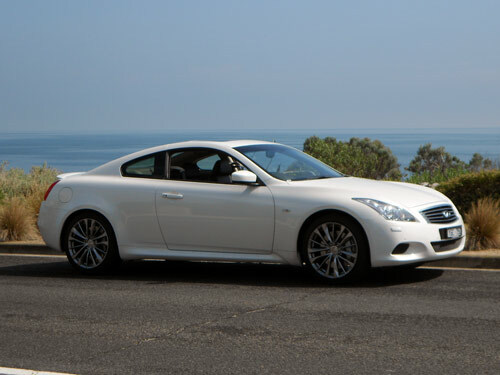 On this occasion we sampled the new Infiniti G 37 S Premium coupe. It's the most recent Infiniti model to be launched locally, having arrived late last year in both coupe and convertible body styles. The current MLP* for the Infiniti G37 S Premium coupe is from $83,500*. 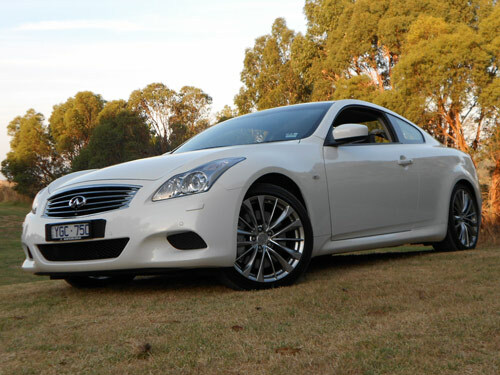 The G 37 coupe is also available in G 37 GT Premium guise priced from $75,900*. The first noticeable element of the driving experience is the remarkably quiet atmosphere inside the car as we went about driving almost solely in urban environments. Unfortunately, we didn't get to drive out of town on this occasion. The G37 has sufficient power to reinforce the message that Infiniti has a desire to be known for performance, as well as luxury and quality. So the V6 scoots the G37 along quite well and we found the exhaust note quite pleasing too. As you would expect, the driving dynamics were well sorted and this car lives up to the expectations of a sporting premium coupe. The only thing I didn't like about the G37 coupe was what I thought was limited foot room for the driver. It was just adequate, but well short of the space that some smaller and cheaper cars provide. In the specs, something called "4-Wheel Active Steer" (4WAS) is mentioned as part of the increased level of features in the S Premium coupe. If I didn't read it I would not have even noticed it. It's said to be helpful. OK, I'll accept it. But I suspect no-one will make their acquisition decision based on the inclusion of this feature. But Infiniti is going for advantage, so it fits into their 'form'. A limited slip differential and a sports tuned suspension is included in the package, too. Although a sports suspension is part of the "S", I felt the ride qualities were very good. I wouldn't describe the ride as overly firm. My suggestion would be that it is just right for both comfort and handling. A seven-speed automatic transmission is standard. It is very smooth in its operation and quite effective in getting the power to the rear wheels. A manual over-ride is there if necessary (but why bother?) with paddles and a sequential shifter. Curiously, Infiniti refer to the parking brake as a foot-operated hand brake. This may be a little too much for me to comprehend, so I will call it a foot-operated parking brake if that's OK.
Infiniti indicate the G 37 coupe can do a dash from 0 to 100 km/h in 5.9 seconds. That's enough to keep you up to speed. In fact, I can't even comb my hair that quickly. Infiniti can be assured that their claim, although not tested by the Next Car team, seems quite realistic. With a performance orientated 3.7 litre V6 upfront, the power is rated at 235kW @ 7,000 rpm and the torque is rated at 360Nm @ 5,200 rpm. Comfort is the name of the game here. Front seat occupants should always be happy with the front buckets. Both have extendable thigh support, whilst the driver's seat features 14-way power adjustment (including lumbar support). However, there isn't much space for the driver to use the seat adjustment controls. The back seat looks like a compromise with limited leg room, so I didn't try it. Interestingly, when you adjust the steering wheel position the instrument panel moves too. This is a neat idea, hopefully always keeping the gauges in view of the driver regardless of their stature. The steering column has four-way electric adjustment. Without doubt, we were impressed by the effective air conditioning system. It worked a treat on some hot days. The keyless entry and start is always a welcome feature. 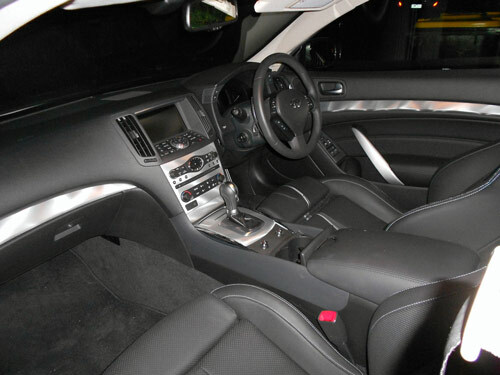 It is a standard feature, as is the satellite navigation system. Six airbags are fitted and this must be considered an essential feature these days. I feel the same about a reversing camera, which is included with the G37 but I must report that not all premium class cars have caught up yet. 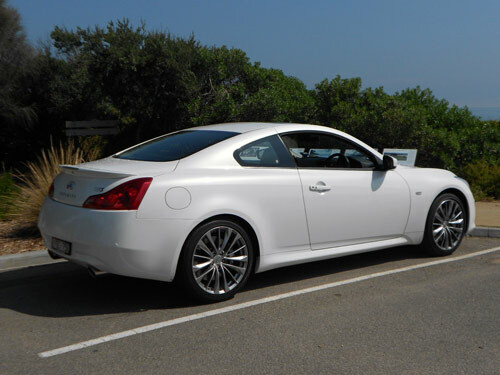 So what is the difference between the two G37 coupes? The S Premium has Sports-tuned suspension; 19-inch alloy wheels (4); 14-way power driver’s seat (including lumbar support); Front sport seats with thigh extensions; 4-Wheel Active Steer (4WAS); Rear spoiler with built-in LED stop light; Tyre Pressure Monitoring System (TPMS); Opposed-piston sport brakes; badging; Viscous Limited Slip Differential (LSD). So, basically, the difference between the coupes are the performance orientated features that enthusiastic drivers may appreciate more than, say, someone who is more desirous of luxury. But having said that, the added features won't be in the way of a more mild driving experience. On the combined cycle, fuel consumption of the Infiniti G 37 coupe is rated at 10.5 litres per 100 kms as per the ADR81/02 standard. City cycle consumption is rated at 15.3 l/100 km. Highway cycle comes in at a quite reasonable 7.8 l/100 km. We were thrilled with the 11.4 litres/100km consumption figure for our 280 kilometres behind the wheel. The fuel tank capacity is 80 litres, which is a good size tank. The Euro5 compliant engine produces a CO2 emission rating of 246 grammes/kilometre (combined cycle). With conditions, the new vehicle warranty applies for 4 years/100,000 kilometres. Roadside assistance is included for all new Infiniti cars for the same period as the warranty. Again, conditions apply. Interestingly, if a taxi is required under the terms of the roadside assistance programme it will be a "premium taxi" that is supplied (where possible) rather than a taxi. Good move Infiniti! 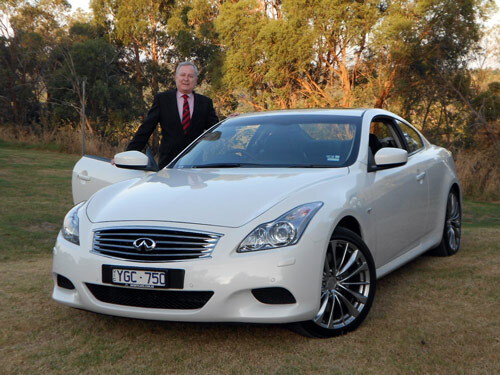 Infiniti face no easy task in getting a foothold in the Australian market. But those who drive the G will be more than satisfied with their experience. 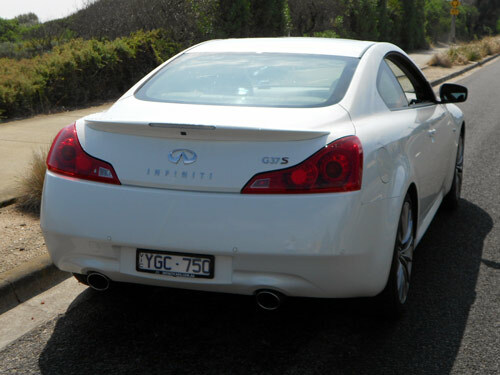 Hence, products like the Infiniti G 37 S Premium coupe will provide converts for the new-comer brand. Although, I suspect all but enthusiast drivers may prefer the lower priced G 37 GT Premium coupe and pocket the savings as the G 37 S Premium is $7,600+ more expensive. But when you're driving this car, you'll be more interested in enjoying the experience rather than worrying about mere money. 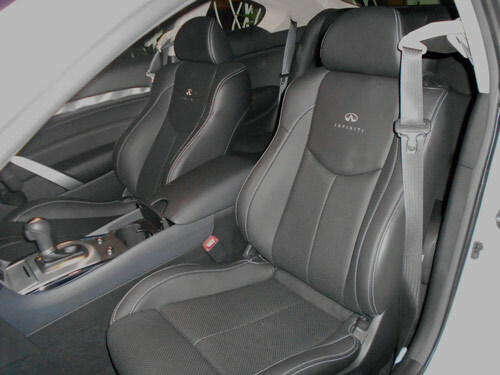 Despite being picky, I believe nothing detracts from the pleasurable task of driving Infiniti's coupe. More Infiniti News ..... here.